Looking for some unique free wedding invitations to print? These stylishly designed invites are printable direct from your computer. Make a bold statement with your wedding invitations. 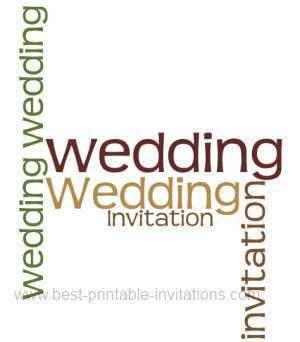 This boldly worded design would be perfect for modern, stylish weddings. Print on standard size paper. These invitations fold to make a card with plenty of room inside to write your wedding details. The bold wording gives a bold modern design to these invites. Perfect for modern brides, and a great way to invite your guests. A more subtle variation on the previous design. This stunning invite looks fabulous printed onto white paper. 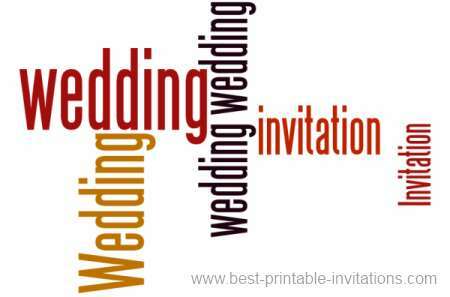 Both of the designs on this page would make perfect invitations to invite your wedding guests. The links open up a new window, and the invites will then print directly from your computer. Be as organised as you can when sending out your invites. Keep a list of guests and cross them off as you complete their invitation. You don't want to miss someone! Remember to include all the information they will need - including gift lists and directions. Having a separate reception? 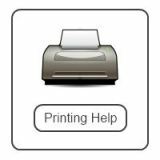 Why not take a look at our wedding reception invitations to print too.